Honorary Tripawd Kodi had a birthday! 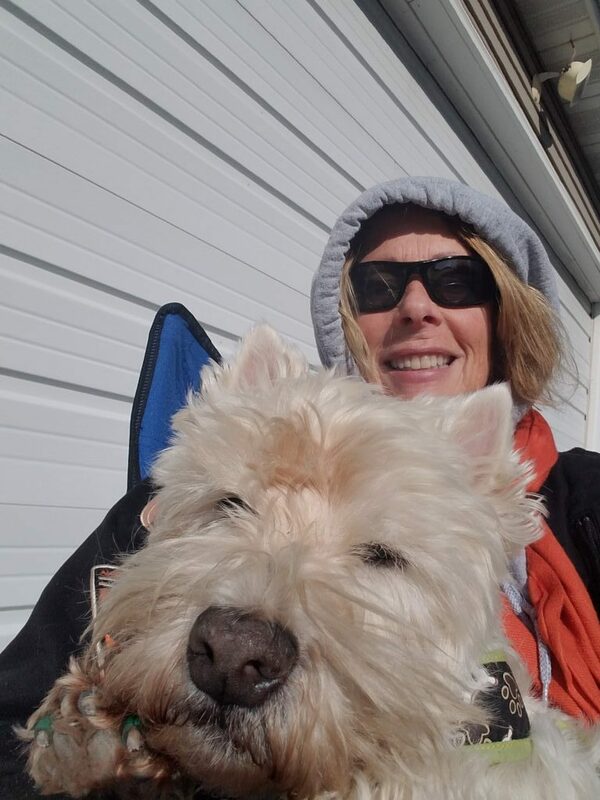 That’s right, the only dog that Warrior Angel Nitro loved, is 15 years old! Although I thought it was touch and go almost 2 weeks ago. One night after work he had what we think was a seizure; he came bopping out to see me, bouncy and happy – then he coughed, and vomited up some foamy white froth, and collapsed. He didn’t lose consciousness, but when I picked him up, I thought he was going to die in my arms. When I finally put him down, he seemed ok, and even drank some water and ate some treats. The next day we went to the vet where he had extensive (and expensive) testing done…. blood work, blood pressure check, EKG, ultrasound and chest X-rays. Everything came back normal – as normal as a 15 year old dog with Cushing’s Syndrome can be. A few days later he had an ACTH stim test done, to see if his Cushing med was in the range it should be, or if it was high and pushing him into Addison’s Disease. That too came back normal. This tells my vet that it’s not likely a cardiovascular event. His Cushing’s is most likely due to a benign tumor on his pituitary gland, which COULD be getting bigger, thus causing seizure-like activity. Although it scares me, we weaned him off the seizure med, and are taking a wait-and-see approach. The episode was very mild and short, (but scared me half to death), and I really don’t want to put him on any more drugs unless absolutely necessary; if it happens again, I’ll restart the seizure med, and go from there. He didn’t present with typical seizure symptoms, so maybe it wasn’t really a seizure. This entry was posted on Monday, March 18th, 2019 at 10:02 pm	and is filed under Uncategorized. You can follow any responses to this entry through the RSS 2.0 feed. You can skip to the end and leave a response. Pinging is currently not allowed. Happy birthday Kodi!!! Omd you are handsome, don’t look a day over 5! I love your super pillowed “Kings” seat looking outside the window, how comfy is that? Wishing you many more years of happiness and health! Happy Birthday Kodi. I am glad that you are ok. Hopefully no more episodes. Don’t scare your mom like that. 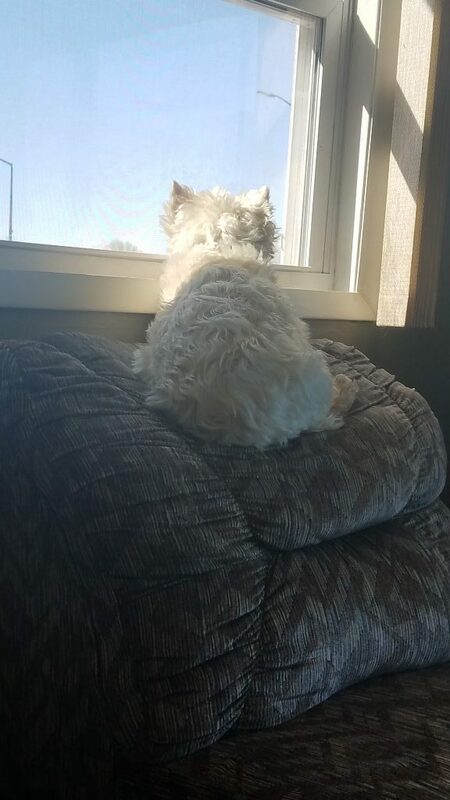 <3 love your throne that you get to watch out the window on. Keep those young tots in order. WOW! What a roller coaster Mr Kodi jas veen kn fot rhe past couple of weeks. Well, Kodi not so much, but I imagine you have certainly been in a state of “uncertainty”. But things ou d loke Kodi’s in good shape overall. That “seizures thing may jave jist veen a fluke. I love that you captured pictures of everyday occurrences pf these three. I think they’re the best kinds of memories to memorialize. Really glad you invited us all to celebrate with Kodi and the Tots on his SPECTACULAR FIFTEENTH BIRTHDAY!😁😎 It really is a testament to the wonderful care uou have provided this special boy, especially in spite of all his health challenges!! 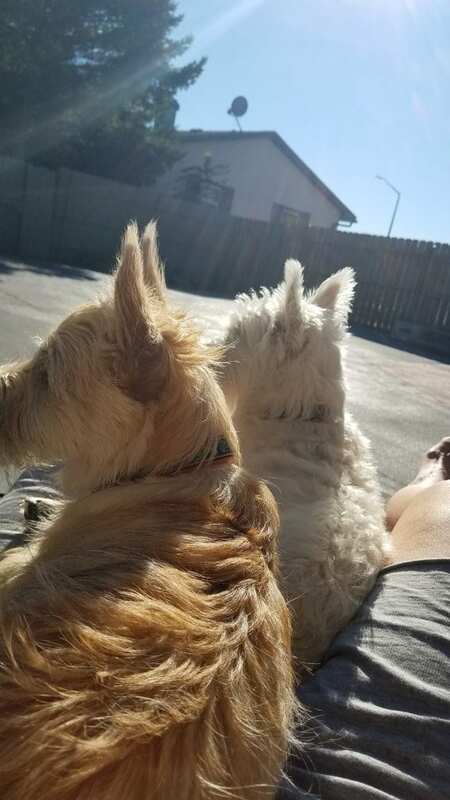 Hmm…..I was thinking about Nellie and I vpipng ,to look at some senior Westie type dogs who need a home for “however long”. But based in Kodi. 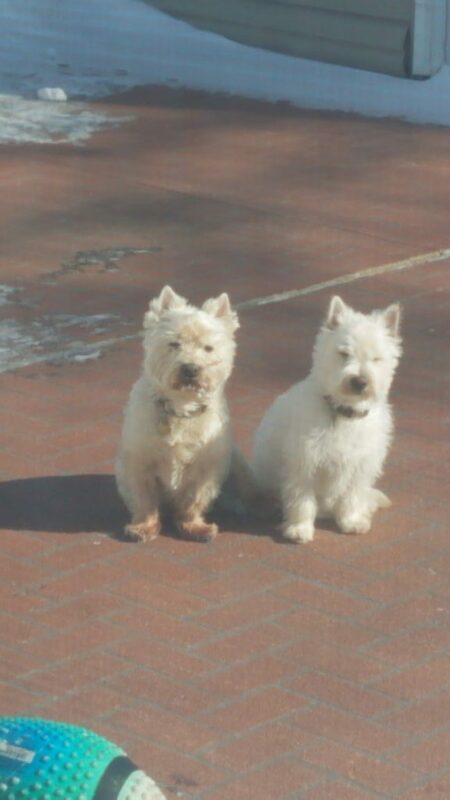 it looks like a “senior Westie” would have to be at least about nineteen or twenty!! HAPPY FIFTEENTH BIRTHDAY PRECIOUS KODI! Keep em coming! We love going to your pawties!! Wheeeee! Fifteen years young and you don’t look a day over five Kodi. Super big congrats and hoppy birthday my friend. I’m thrilled the weather is warming up, you guys sure needed that. Enjoy! Get the Tripawds email newsletter! Doberman's journey is brought to you by Tripawds.